A new spraying system developed by Pentair Hypro makes it possible for operators to change from one nozzle to another at the flick of a switch. 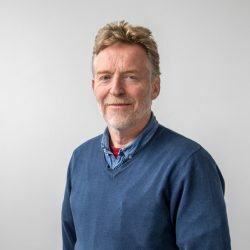 They can easily change between pesticide and fertiliser nozzles, between nozzles of different sizes to cover a wide range of application rates, and between nozzles with different spray characteristics – standard and low drift, for example. The Hypro Duo React nozzle body combines a single outlet on one side and a four-way turret on the other in one compact assembly. The two piston valves are held securely closed by a stainless steel spring and opened by air pressure. 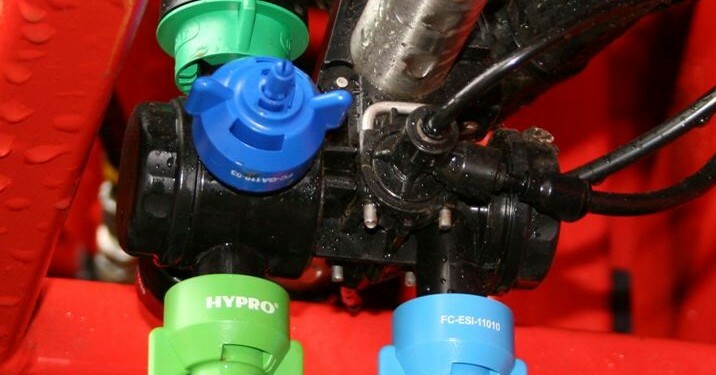 They operate in exactly the same way as Pentair Hypro’s tried and trusted ProStop valve – already fitted by many of the World’s sprayer manufacturers. An equally compact electro-pneumatic version of the Duo React body can perform the role of a section control valve to avoid wasteful spraying overlaps. An air supply on the sprayer operates the two fast-reacting, pneumatic valves. 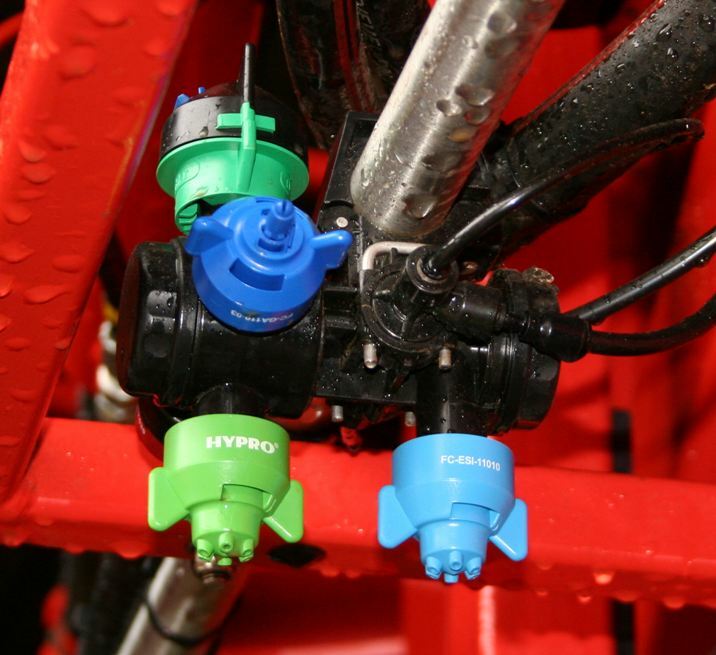 Sprayer operators can switch between the turret and the single outlet at any time or use both at the same time. The turret can be rotated manually to select different nozzle combinations.